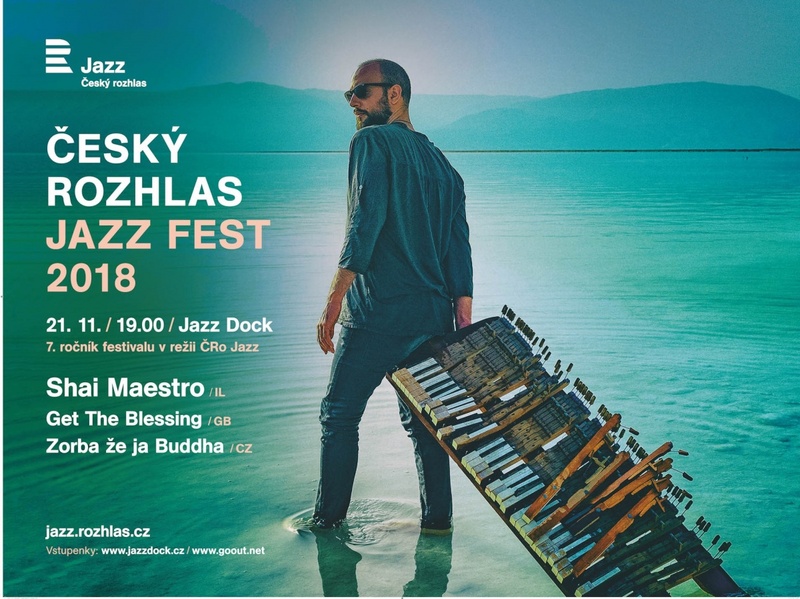 The basis of the Zorba že je Buddha is a combination of two musical individualities: Ashley Sarah Abrman and Ondřej Hauser. Ashley’s charismatic singing (known, for example, as frontwoman of The High Corporation) is influenced by gospel. Ondřej, bass player and producer, is known from such groups as the Prago Union Live Band, the David Kraus Band, and the Ochepovsky project. Through their connection rises a hybrid of electronics fusion with acoustic music in an original overhead stream. Ashley Sarah Abrman – voc; Tanita Yankova – voc; Antonín Dlapa – g; Jen Hovorka – keys; Ondřej Hauser – b; Lukáš Mutňanský – b; Michal Daněk – dr; Marek Urbánek – dr; Petr Kalfus – sax; Miroslav Hloucal – trp; Pavel Zlámal – saxofon; DJ Maro. Dynamic trio led by pianist Shai Maestro from New York, who has performed with Avishai Cohen (bass) and will now present his album on ECM. “Impassioned, emotionally rich compositions” (Jazzwise). As the newest acquisition of ECM, Shai Maestro becomes part of the line of famous jazz pianists who have defined the label: Keith Jarrett, Paul Bley and Chick Corea, among others. This fall sees the release of the album by the New York pianist and his close-knit trio. In his compositions he mixes jazz with all kinds of influences, for example from his native Israel. Shai Maestro (1987) is one of the most promising and talented pianists of his generation. Since his debut with his own trio in 2011, Shai has shaped a strong and unique personal identity and has portrayed an incredible musical fluidity, making Shai and his trio one of the most powerful and harmonious groups in jazz today. Shai Maestro – p; Jasper Høiby – b; Ofri Nehemya – dr.
thumping tunes, monstrously infectious beats and a joyous collective spontaneity. Despite a few short breaks for other projects over the years – most recently in 2017 when drummer Clive Deamer was on tour with Radiohead – the band is tighter than ever! Jake McMurchie – sax, electronics; Pete Judge – trp, electronics; Clive Deamer – dr; Jim Barr – b. Admission: seating CZK 950, standing CZK 450. No club discounts. Seats reservation is possible only if you buy a ticket. Thank you for understanding.